In our latest news round up we reflect on the success of the inaugural International Dylan Thomas Day, look back on how Dylan’s connections to Cornwall have been recognised, hear about discoveries in the Hugh MacDiarmid archive, and we hear the sad news of the death of the artist who painted the last portrait of Dylan. May 14th marked the inaugural International Dylan Thomas Day. The day was officially launched at Swansea University where Dylan’s newly rediscovered notebook was unveiled. Events took place the same day in Wales; in Swansea, Cardiff, Laugharne and New Quay; and further afield in Oxford, London, Italy, New Zealand, and New York. The day was well supported on social media, with the #DylanDay hashtag trending in the UK and many Twitter users sharing Dylan Thomas content. Fans from around the world took part in a campaign to take selfies reading Dylan’s works, and some of Dylan’s more famous fans supported the day on social media. You can view some of the Twitter highlights here including tweets from Michael Sheen, Terry Jones, Celyn Jones, Lauren Laverne, and Neil Gaiman. 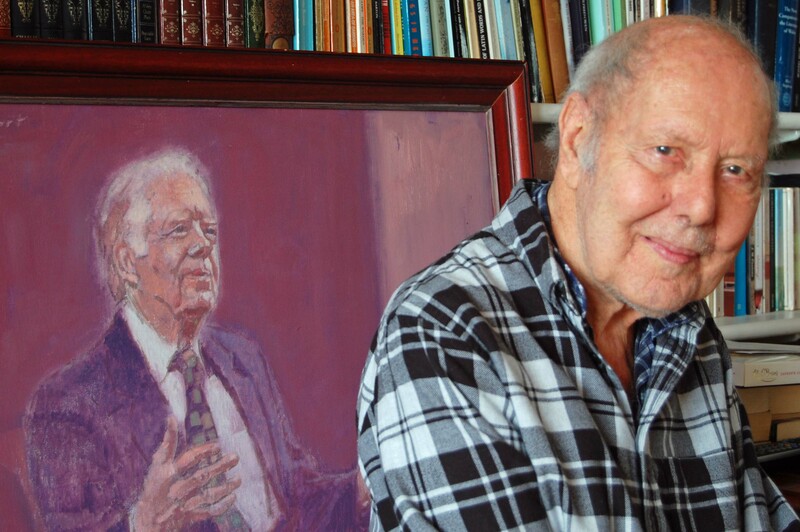 Gordon Stuart, the Canadian born artist who painted the last portrait of Dylan Thomas has died at his home in Swansea at the age of 91 after a short illness. An unrecorded Dylan Thomas letter and a manuscript copy of In Memory of Ann Jones have been discovered in the Hugh MacDiarmid archive at Edinburgh University. The letter, written from Sea View, Laugharne, in 1938 is not recorded in the Collected Letters. 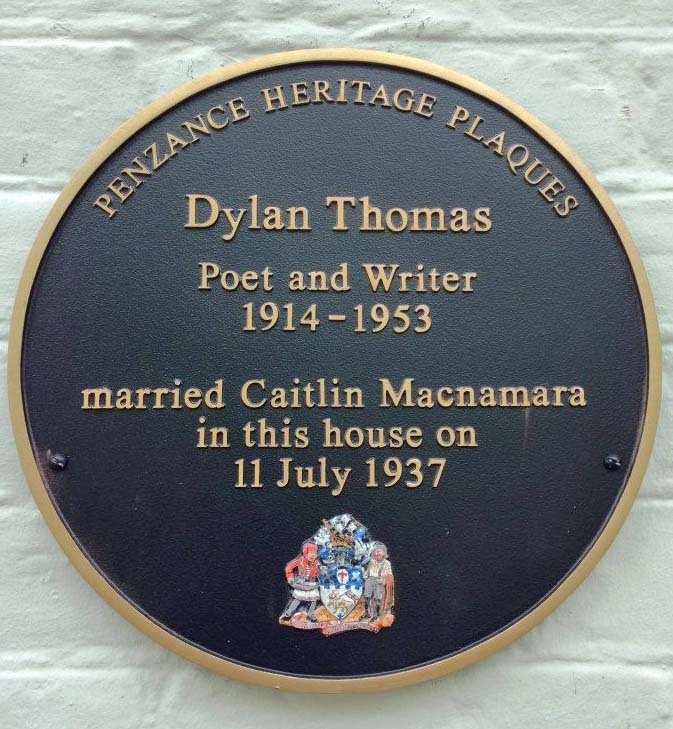 Dylan’s connections to Cornwall were recognised at the recent Penzance Literary Festival with a Dylan Thomas inspired walk that culminated in the unveiling of a plaque at Phoenix House in Penzance. The building served as Penzance Registry Office when Dylan married Caitlin there in 1937. The collection of Dylan Thomas manuscripts and memorabilia that visited Wales during 2014 is back on display at it’s home at the University at Buffalo, New York. 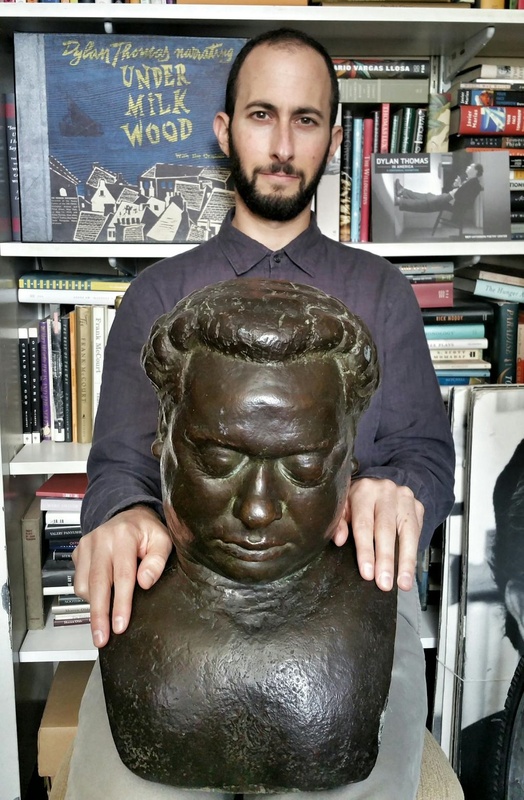 The exhibition Dylan Thomas: A Centennial Celebration Plus One will be on show until September 2015. Jeff Towns’ three year spell as Chairman of the Dylan Thomas Society has ended. Congratulations to Jeff for his term in office and to Geoff Haden of the Dylan Thomas Birthplace who has taken over as the new Chairman. Do Not Go Gentle – The Last Days of Dylan and Caitlin, a full-length opera based on the lives of Dylan and Caitlin will receive it’s world premiere on August 1st at the Phoenicia International Festival of the Voice in New York. The opera has been written by Robert Manno with a libretto by Gwynne Edwards. 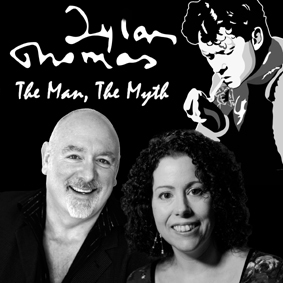 Actor Guy Masterson and Dylan’s granddaughter Hannah Ellis are joining forces to take Dylan Thomas : The Man, The Myth to the Edinburgh Fringe Festival during August. The show features Hannah Ellis’s personal insights into Dylan’s life illustrated with Dylan’s words performed by Guy Masterson. For more information on events during August and beyond please see our Events page. 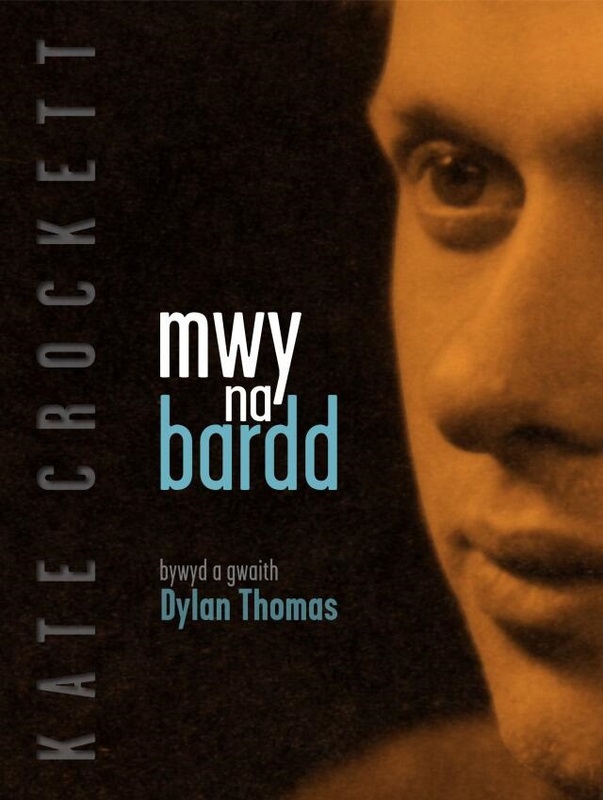 Kate Crockett’s Welsh language book about Dylan, Mwy na Bardd, was a runner-up in the Welsh Language Creative Non Fiction category at the 2015 Wales Book of the Year Awards. Recordings of the performances from last year’s Dylathon at the Grand Theatre, Swansea, have been released on CD. The entire 36-hour marathon reading of Dylan’s work is available as a 24 CD set. A 4 CD highlights set is also available. The Andrew Davies scripted BBC drama A Poet In New York has been nominated in the Best Movie Made for Television category at the Critics Choice Awards in the US. 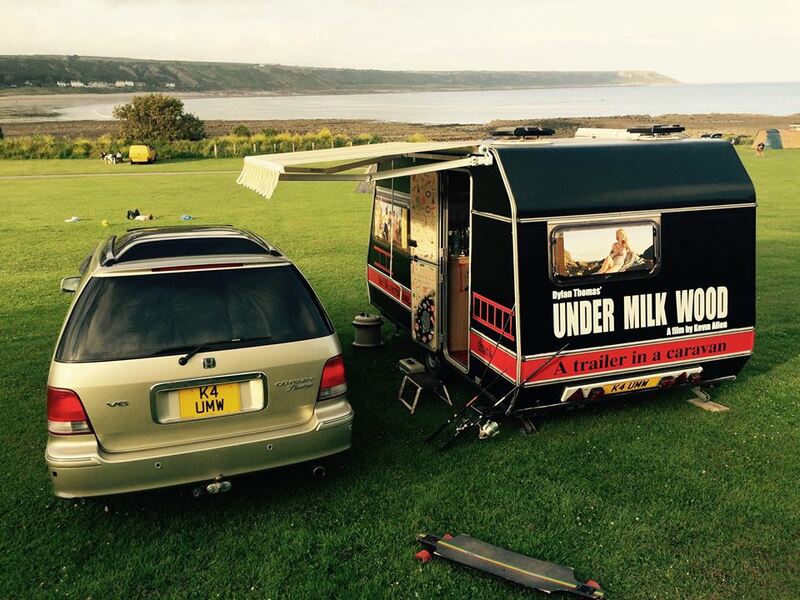 Under Milk Wood, directed by Kevin Allen, had it’s UK premiere at the Edinburgh International Film Festival on 20th June and is set for screenings at a number of UK festivals during the summer. A special screening caravan will visit selected festivals. The film will have a UK theatrical release on October 27th. Set Fire To The Stars had it’s US premiere in New York on 10th June and debuted on Netflix in July. Production company Mad As Birds Films have initiated a kickstarter campaign to raise funds to support further international releases of the film. Love Somehow, a film focusing on Caitlin’s relationship with Dylan is currently in production. The film starring Sally George as Caitlin is based on Phil Bowen’s play The Same Boat. On International Dylan Thomas Day the People’s Playlist on Lauren Laverne’s BBC 6 Music show had a Dylan Thomas theme, and Dylan’s granddaughter Hannah Ellis featured in a BBC Wales news article about the unveiling of the ‘lost notebook’ on the same day. 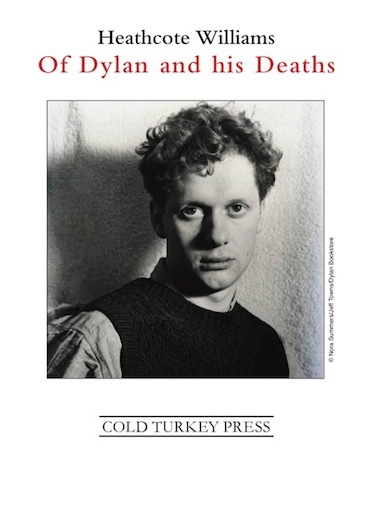 Gillian Clarke told The Guardian why Dylan deserves his international day, whilst in the same paper John Dugdale used International Dylan Thomas Day to question ‘random author commemorations‘. Jasper Rees explored the ‘lost notebook’ that was unveiled on International Dylan Thomas Day in The Economist. Hilly Janes talked to WalesOnline about the influence of Dylan’s mother Florence, and Cerys Matthews told the South Wales Evening Post that she is a ‘huge fan of Dylan‘. Grazia Magazine visited Swansea and recommended the Dylan Thomas Birthplace and the Dylan Thomas Centre, and the Birthplace was also featured in the South Wales Evening Post. In his piece for The Independent ‘Wales has mastered the art of beautiful gloom‘, Stephen Bayley attributed words spoken by a character in Dylan’s script “The Three Weird Sisters” to Dylan himself. 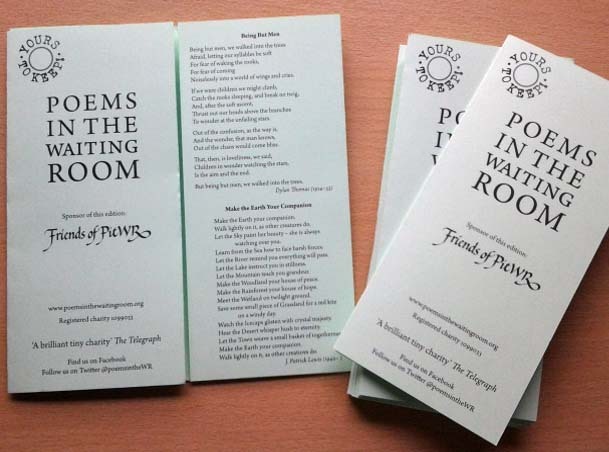 Peter Riley reviewed The Collected Poems (edited by John Goodby) for the Fortnightly Review. An article in the India Times about Paramjit Pamma, the so called ‘Angriest Man Of India‘ revealed that he’s inspired by Dylan’s Do Not Go Gentle Into That Good Night. Poems in the Waiting Room, the charity that distributes poetry to doctor’s waiting rooms, have included Dylan’s ‘Being But Men‘ in their latest edition. The 2014 Royal Mail stamp picturing Dylan Thomas features on a commemorative plaque that has been attached to a Swansea post box. Dylan’s grandaughter Hannah Ellis unveiled the plaque on a postbox in Swansea’s King’s Road. The siting of the plaque has been the subject of some debate. The Webb Ellis Rugby World Cup trophy has visited the Dylan Thomas Boathouse in Laugharne as part of a tour of Wales. A poem composed in response to Dylan Thomas was among readings in Covent Garden on July 1st. Artist Fiona Green’s poem is a response to the poem Dylan wrote for his son Llewelyn, ‘This Side of the Truth’. The Colour of Saying is a new literary discussion group hosted by Natalie Ann Holborrow at Dylan’s Birthplace, 5 Cwmdonkin Drive. It aims to get people discussing and contemplating the works of Dylan Thomas. The group meets on the last Wednesday of every month. Dan Tyte has written a story inspired by Dylan’s ‘Extraordinary Little Cough’ for the Wales Arts Review Story:Retold series. Tyte talks about his story The Rhossili Effect here. Ty Cerdd, the organisation that promotes the music of Wales, has commissioned composer-in-residence, Hilary Tan, to write a Dylan Thomas inspired work. Tan’s new work which will be performed by the National Youth Ensemble is inspired by lines from Dylan’s ‘Fern Hill’. The Antelope public house in Mumbles is set to be redeveloped as a wine bar and restaurant. The pub was a favourite haunt of Dylans, particularly during his time with the Swansea Little Theatre. A portrait of Dylan Thomas by artist Andrew Vicari has failed to sell at auction. The artwork was being sold to raise funds for Swansea’s Lighthouse Theatre. The celebrations planned in Wales to mark the 100th anniversary of the birth of writer Roald Dahl in 2016 are expected to build on the international success of the 2014 Dylan Thomas centenary celebrations. Garden Designer Jo Thompson’s garden at this year’s Chelsea Flower Show took inspiration from Dylan’s Laugharne writing shed as well as the retreats of other writers. Nicky Wire cited Dylan as one of the band’s inspirations when accepting the Inspiration Award on behalf of the Manic Street Preachers at this year’s Ivor Novello awards. Dylan received a more tongue in cheek mention at the 2015 Celebrity Cup at the Celtic Manor. The celebrity golf tournament was won by the Wales team and team captain Rob Brydon went on to say “We’ve done this for Dylan Thomas, we’ve done this for Richard Burton, we’ve done this for Owain Glyndwr… we’ve done it for Shakin’ Stevens. And we’ll do it again”.